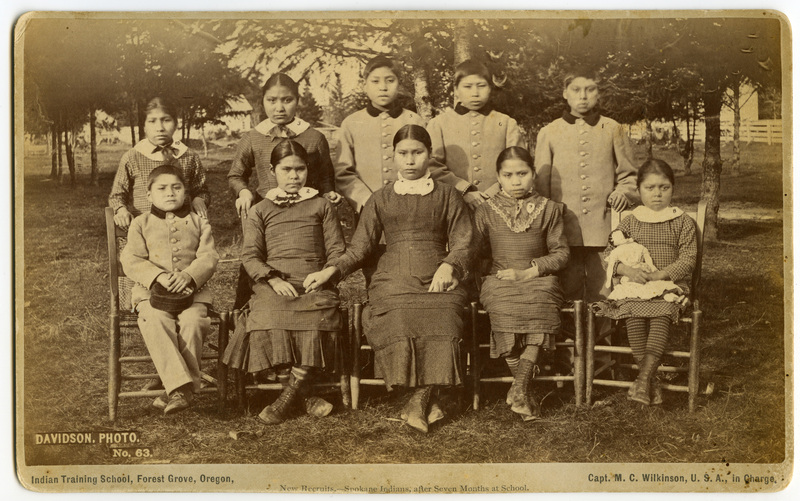 Chemawa Indian School in western Oregon, one of the nation’s oldest federal boarding schools and the longest still in continuous operation, is an emblem of a system that has intimately impacted countless lives and communities. In her new book, To Win the Indian Heart: Music at Chemawa Indian School, out last month from OSU Press, Melissa Parkhurst records the history of the school’s musical life. As Parkhurst worked on the book, she serendipitously relocated to Forest Grove, Oregon, Chemawa Indian School's original location. Today on the blog, Parkhurst reflects on this unique experience—what it was like encountering her research in her day-to-day experience, as well as in the historical fabric of her community. One of the full circles I personally traveled happened by accident. While working on the research for To Win the Indian Heart, I took a job teaching in the Music Department at Pacific University, in Forest Grove, Oregon. Forest Grove, a small city in the Willamette Valley, about 25 miles west of Portland, was the original home, 1880-1885, of the school that would become Chemawa. Several catastrophic fires shaped Forest Grove’s early history, and it was a fire that destroyed the girls’ dormitory, causing enough damage to bolster the case to move the school to its current location, just north of Salem, Oregon. Walking the Pacific University campus and the streets of Forest Grove, I wondered, what remnants of the original campus might still be present? Would the residents of Forest Grove have any sense of the Indian school as part of their community’s history? And if the earliest students of Forest Grove Indian School could talk with us today, what might they say of their experiences of music and the school? Lecture notes from Rick Read (an esteemed former archivist at Pacific, now deceased) suggest tantalizing evidence that a single building from the original campus existed as late as the 1990s and may still be standing today. Despite many hours spent with town historians, plat maps, and the streets themselves, I’ve become convinced that the original campus is likely gone. Some town residents, particularly members of the Friends of Historic Forest Grove, are keenly aware of Forest Grove’s role as the original site of the school. Early school newspapers are kept in the archives of FHFG and of Pacific University, as are transcripts of locals’ remembrances that span the early 20th century. Of the students themselves, we see the early “before and after” photos circulated to suggest the students’ profound transformations at the hands of the school’s assimilationist campaign. More privately maintained were the records of many students’ early deaths while at school, as they faced new diseases while living in a foreign setting. Also, we know now that—despite the photos—most of the school’s early attendees already had some familiarity with Euro-American culture, through their interactions with settlers, missionaries, and Indian agents in their home communities. In the early campus newspapers, which served as promotional materials for the school, we see administrators’ accounts of school bands, though we do not know the extent to which membership in the early bands was compulsory or voluntary. Letters from alumni who proceeded to work at other Indian schools as music teachers are perhaps the first evidence that music could be life-giving for some students, offering a source of joy, competence, and sometimes even a livelihood. Despite the school’s attempts to erase all aspects of the students’ Indian identity, the story of music at the Forest Grove Indian School involves both strength and agency, with some students using their musical training to bond with each other, sustain themselves, find teaching jobs, and share their craft with other young Indian people. In my book, I chronicle the subsequent phases of music instruction, as the school moved to its current location in 1885 and came to enroll as many as a thousand students at a time. Chemawa Indian School stands today as the nation’s oldest continuously operating Native American boarding school. It has abandoned its assimilationist mission, becoming instead an institution that encourages Native American students to take pride in their heritage. By engaging in school bands, choirs, dances, pageants, garage bands, and powwows, students mine sources of resiliency that help many to survive and bounce back from the hardships of school and life after Chemawa. You can order To Win The Indian Heart here. Melissa D. Parkhurst is an instructor of music at Pacific University in Forest Grove, Oregon, where she teaches courses on World Music and Music History. She earned a doctorate in ethnomusicology from the University of Wisconsin-Madison. Her current research interests include First Nations music in the Pacific Northwest, how music promotes personal and community resilience, and the role of music in cultural revitalization. Photographs courtesy of Pacific University Archives. 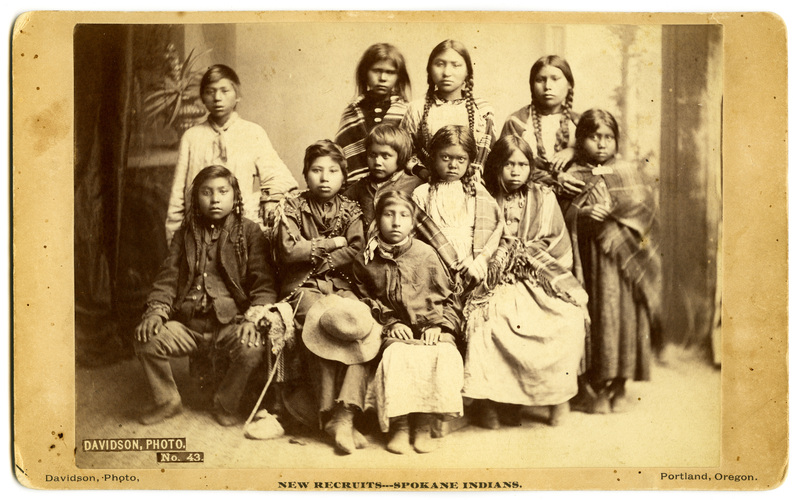 For more images from the early Forest Grove Indian Training School, please visit the university's digital exhibits. 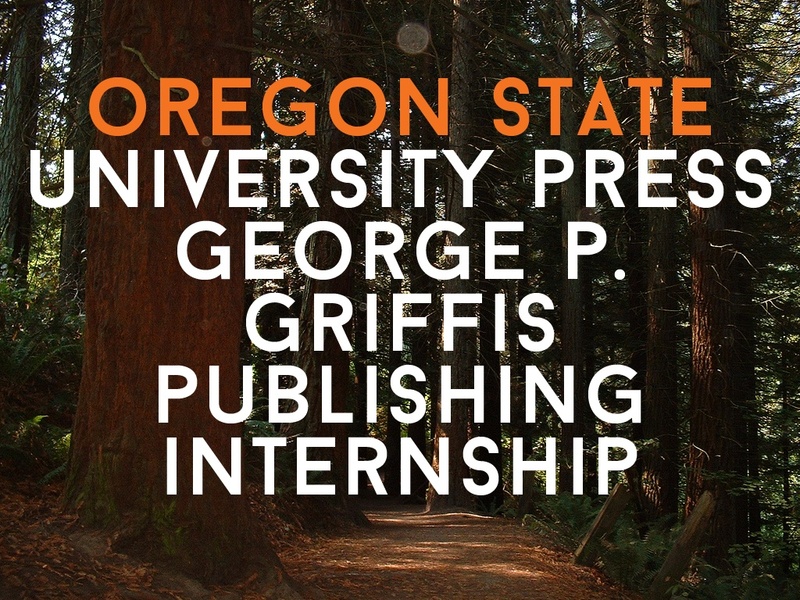 The OSU Press is seeking a highly qualified and motivated undergraduate or graduate student intern. This paid internship provides an outstanding introduction to scholarly book publishing, an opportunity to gain hands-on experience in the general operations of a university publishing house, and the opportunity to work with publishing and library professionals. The OSU Press intern plays a vital role in the Press’s success and is an indispensable member of the OSU Press publishing team. The position includes a focus on digital book publishing and online and traditional book marketing. Projects may include: researching online marketing trends and best practices; implementing preparation of backlist titles for various digital formats; and implementing social media campaigns and other marketing strategies for digital and print books. Application deadline: May 28, 2014. Today on the blog, Barbara Wilson of the Carex Working Group and co-author of Field Guide to the Sedges of the Pacific Northwest, Second Edition, available from OSU Press, chronicles how the group of botanists carried their methodology out of the field, through the publication process, and into the pages of their guide. 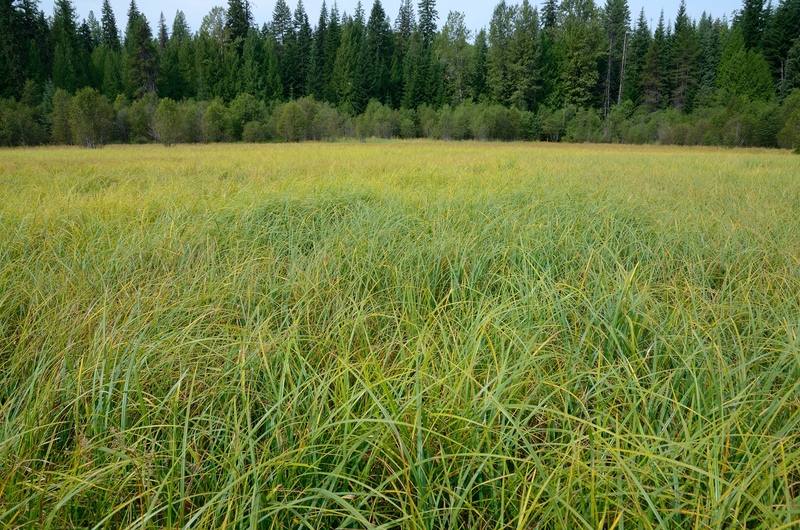 We Carex Working Group members were excited that OSU Press agreed to publish a second edition of our Field Guide to the Sedges of the Pacific Northwest. This would be an opportunity to revise the identification key, update nomenclature, modify a few maps, improve some of the photos, and make minor updates and corrections in the text. And clarify the Carex subbracteata confusion. Definitely clarify that. The process became more exciting than we intended. 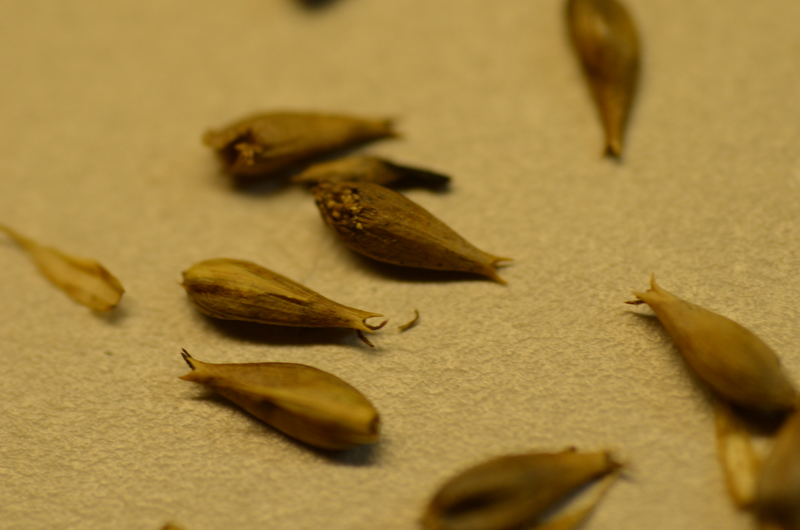 We decided to go with the split in Carex capillaris, which meant adding native C. tiogana from Steens Mountain. Let’s see . . . six added sedges meant twelve added pages. We saved two pages by recognizing only Carex heteroneura, not its two subspecies that couldn’t really be distinguished. That left ten pages to find. Where? Updating the key was simple because we had been revising our personal version of it all along. Improving the text was fun. 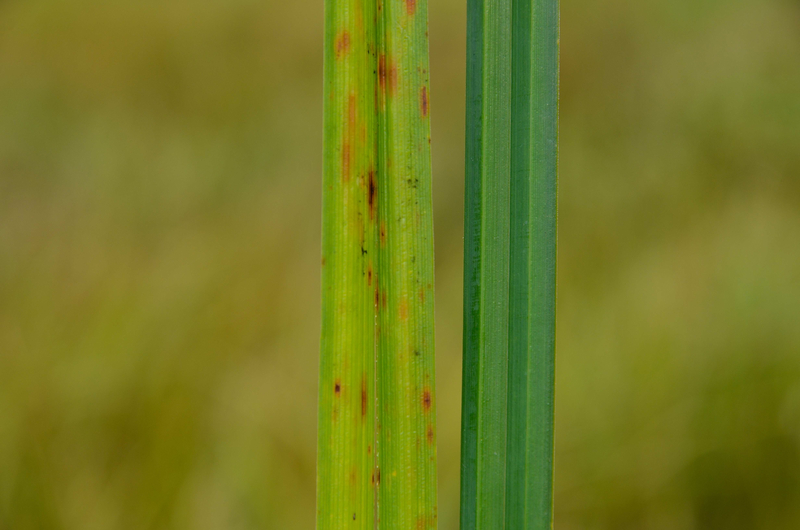 Finding photos of the new sedges was harder, especially since we wanted to be sure the identifications were correct. We ended up corresponding with botanists from Michigan, Illinois, Germany, and Romania to get the photos we needed. Sorting out Carex subbracteata and C. harfordii took a lot of correspondence and much looking at specimens, but we did it. We hope. Both species have full treatments now. 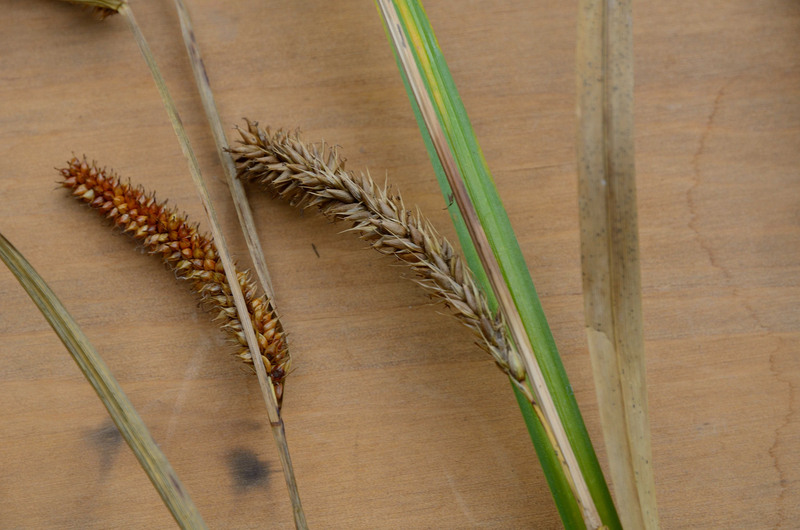 In late summer 2013, as we neared the end of our rewriting, we learned that Chris Reidy and Kathy Pendergrass from the Natural Resources Conservation Service had found Carex hirsutella, native to eastern North America, on a farm in Linn County. We went out to investigate and confirmed the report. This was a very interesting find, but our main concern was “Two more pages! 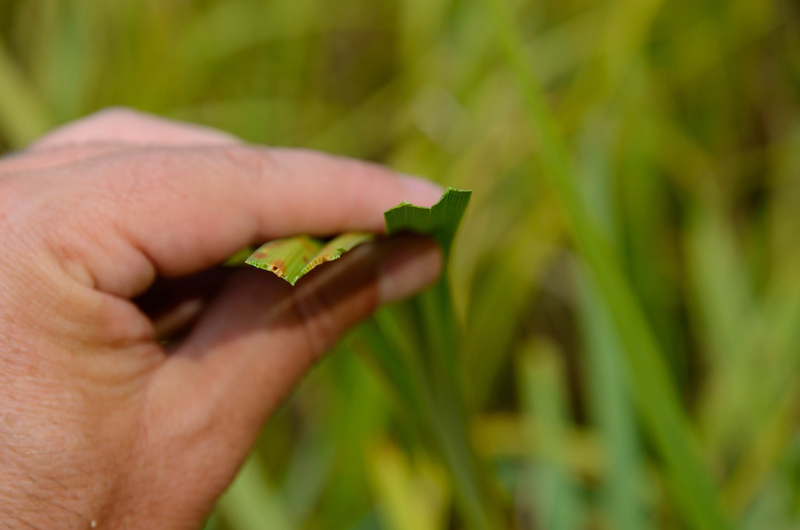 We need two more pages!” Fortunately, we discovered that we had misidentified Carex projecta. Removing its account freed up the needed pages. At last the revision was completed. We took a jump drive with the text and photos to OSU Press. There, our wonderful editor Jo Alexander told us exactly what she thought of the hundreds of changes we had made. This was supposed to be a revision, not a new book! Yes, of course she would make the changes, but we were asking a lot! Finally we got proofs and carefully read through it again, of course finding small errors we had missed. 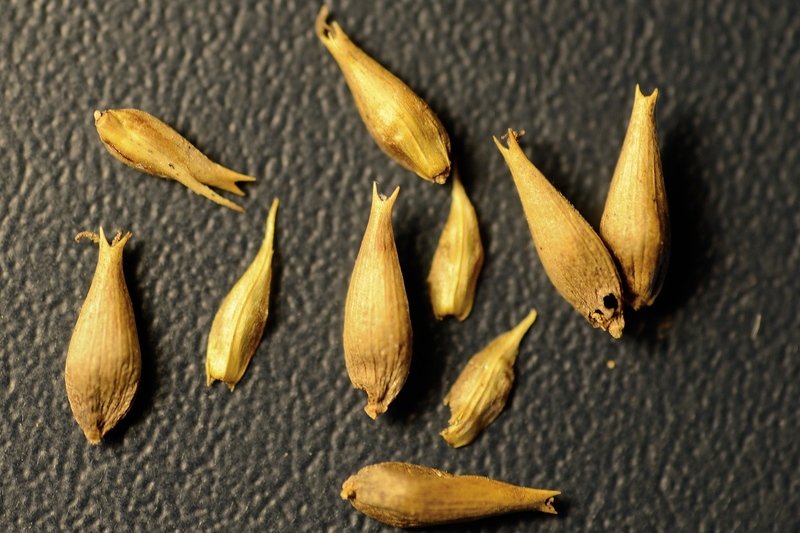 Then Rex Crawford and Joe Rocchio of the Washington Department of Natural Resources reported that they had found Carex lacustris in far northeast Washington. Aaaargh!!!!! We had heard that C. lacustris probably grew in northeast Washington but there were no specimens to confirm its presence there. We’d mentioned it in the first edition, even put it in the key, but since no one found it we omitted it from the second edition to save space. When photos confirmed that this new report of C. lacustris was accurate, we just had to include it. We timidly phoned Jo Alexander and explained. This was a native plant. Could we add it to the key and put a photo and a paragraph somewhere? Anywhere? Please? After a pause, Jo said, “You really want to give it two pages, don’t you.” Well, yes. “I’ll find a way. Get the text and photos to me as quickly as you can.” And so Carex lacustris made it into the book. We can honestly say that the second edition of the Field Guide to the Sedges of the Pacific Northwest is up to date. We hope that it will be at least as useful as the first edition for those dealing with the Carex sedges of this area. Field Guide to the Sedges of the Pacific Northwest is available here. The Carex Working Group is made up of Oregon botanists fascinated by sedges, grasses, willows, and other difficult-to-identify plant groups. In addition to writing about and photographing sedges, CWG teaches plant identification workshops; completes botanical inventories, rare plant surveys, and natural resource planning projects; and conducts taxonomic research on plants of the western United States. Images by Joe Rocchio. All images are Carex lacustris, by and used with permission from the Carex Working Group.